There is a large lot, clearly marked with an illuminated sign, "Overnight RV Parking," visible from the highway (US95). Although the address is on Avenue B, which is where the old casino was, there is now a direct entrance to the new casino from US95, well marked with Vegas-style signage. 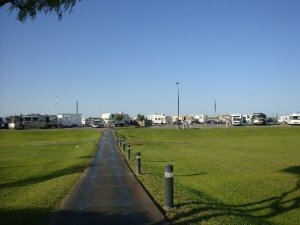 Turn into this main entrance, then immediately make two hard rights to find the entrance to the RV area. There are around 50 spaces, numbered and well marked. $6.00 (or less) per night. 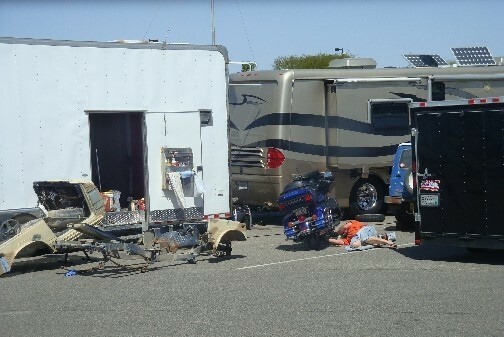 Their RV parking policy changes -- sometimes overnight. Make sure you lock your stuff and that includes your generator. LOTS of thefts have occurred here. Once you get inside, you will find that their promotions are never as good as what they advertise. They will advertise a "guaranteed winner" all month and then at the last minute will change it to "a chance to win". Just say "no" to these sleazy people. As others have mentioned, it’s well lit for security, wide sites, clean. - pick a spot and register at the Casino Cashier window. Stayed 6 nights - would definitely stay here again. We stayed there in January 2014. There are new rules this year. You pay $10.00 for three nights. There doesnt seem to be a time limit. There is no more need to use casino "points" to stay past three days. 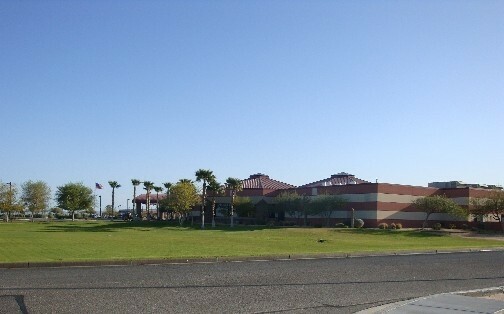 We were again at the Casino From Feb 6th through Feb 16th. 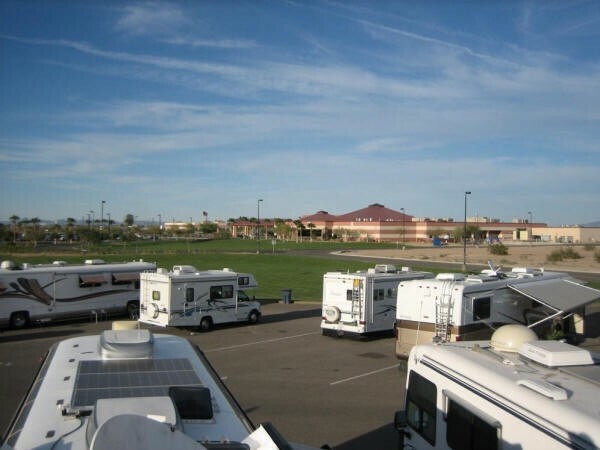 This time we stayed at the Cocopah Casino Racetrack, which across the street from the casino. The casino had installed several new machines since we had been there in January, but the seemed as tight as all the other machines in the place.